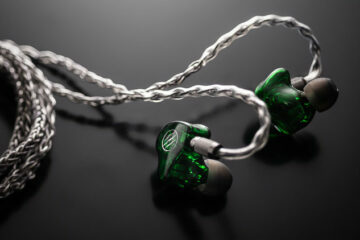 This is actually my first time working with Trinity Audio on a review of one of their IEMs. To say they are the budget darlings of the IEM world in the last year or two would be an understatement but with the release of the Master Series, 4, 5 and 6, Trinity seems to be gunning for a much higher end. 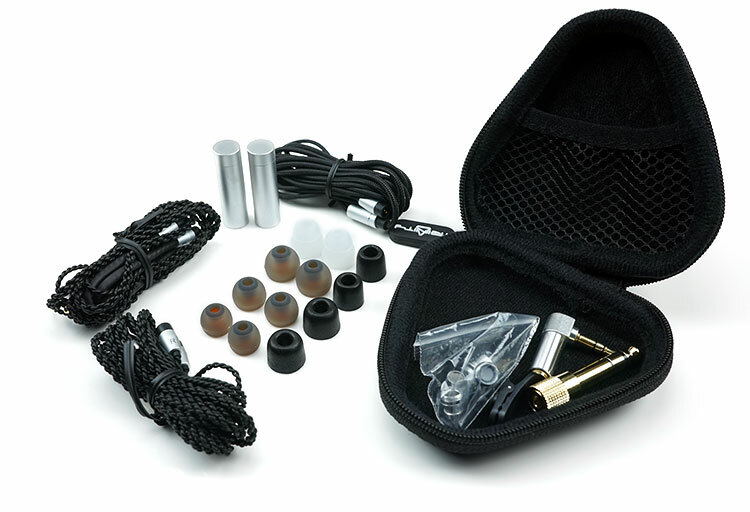 This is a quad driver IEM with a dual dynamic driver and dual BA driver setup. As such, I seriously can’t think of a quad driver IEM this cheap out in the market today so pricing wise it’s already full of win. There is quite a lot going on with the Master 4 in terms of unique features and particular pitches. The first key feature is more of a technical innovation and its been done before but not at this price point and not in a hybrid configuration and that’s the use of push-pull dynamic drivers. 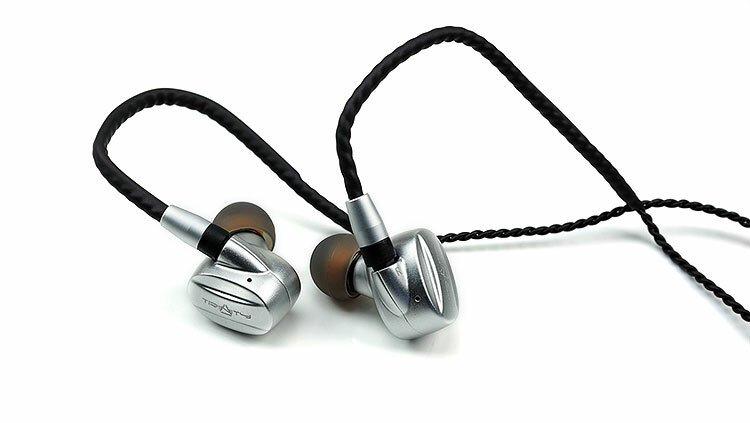 In the case of the Master 4, this particularly refers to their twin titanium diaphragm 7mm dynamic drivers. Push-pull was a niche technology first used in speaker setups but not hugely popular given the rather unattractive aesthetics and their exposed magnetic circuits compared to regular speaker enclosures. 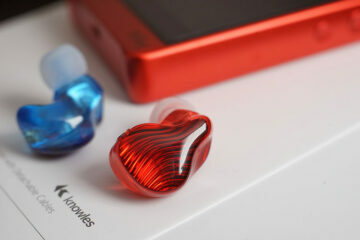 With IEMs, however, the drivers sit discreetly inside the shell rendering that issue moot. Audio Technica first rolled out push-pull configs in their dual dynamic ATH-CKR9 and ATH-CKR10 models. You can see it also in the likes of the Kumitate KL-REF. The ATH model was a dual 13 mm dynamic driver unit config mounted facing each other. The most important point is that these two driver units move together. There was no integrated BA design, simply a pure dynamic design. Both drivers move at the same time but in opposite directions and out of phase with each other in terms of receiving the signal (hence opposite directions). For example, driver 1 pushes air and moves forward and driver 2 pulls in and moves back. The basic concept is to not only keep the dynamic driver’s strength of pushing air but to enhance and eliminate the weakness it has in pulling back at the same time. The two working side by side in a push-pull config should greatly lower harmonic distortion as well as produce a greater level of efficiency as well as rival BA for speed and clarity. The second key feature is the array of filters on offer with the Master 4. Yes, it has been done before and frankly, I am not too fussed when someone says to me “try it, it has filters”. I usually end up just using one. However, the Master 4 pitch goes well beyond with not just 4 unique signatures that skit around passive titles such as generic bass, balanced and treble, but 3 extra ones with dampening properties to produce yet another 3 types of signatures giving you a whopping 7 possible signatures in total for the Master 4. You do have treble and bass filters on offer but what got me as a bit more focused was the additional “v-shaped” filter and a “natural” filter which does more for my imagination than standard reference filter descriptions. Despite the reasonable entry price the Master 4 are built to a much higher standard than I expected them to be. The driver housings are machined from Aluminum CNC with more lateral girth than height and finished with a nice smooth silver coating (note it also comes in a matt black version). It does have a tiny bit more weight than most due to the aluminum materials used but it feels solid and fairly resistant to ‘day and daily’ abuse. Trinity Engineering’s moniker is finely etched also on the front plate making this one very professional finish. The Master 4 bass port is to the top rather than the bottom though towards the outer edge so it is unlikely to get blocked during usage. The housing is terminated in a sweeping 45-degree angle proprietary 2-pin connector. The connector is just ok for me but not great. I had some challenges with the insertion of the right cable and it is not intuitive on which way to connect the cable to the housing but I got there in the end. The use of proprietary also means aftermarket cables are redundant which is a shame. The nozzle of the housing is actually quite short, actually, it is more of a platform as the filters themselves act as both the stem of the nozzle and tip holder. Combined they are of a reasonable length and with a good foam tip, you should have no issues with the Master 4 insertion depth. The Master 4 comes with an excellent selection of cables. Not one, but no less than 3 different types of cables depending on your preference there should be a match for your needs. All the cables come in the proprietary 2 pin connection termination. One is a multi-braid without memory hooks, the other is a Trinity fabric cable with a built-in remote and mic for interfacing with smartphone OS systems such as Apple and Android and the final is a multi-braid with memory hooks. Each cable is 1.4m in length and smartly finished in matching silver coated termination jacks, y-splitter tubes with discreet black chin lock sliders. 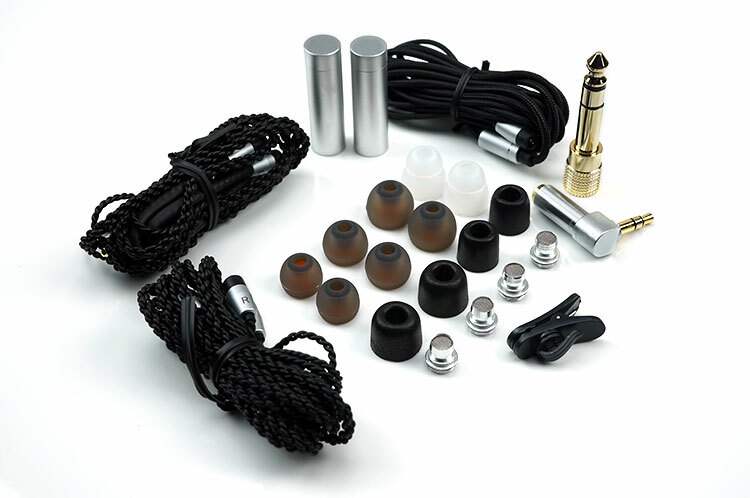 The termination on the input side is a gold plated 3.5mm stereo jack for the non-remote cables and a 3.5mm gold-plated 4-pole for the fabric cable with remote mic and playback functionality. All jacks are straight in construction but you do have an additional right angled gold plated 3.5mm stereo jack converter should you wish to attach that as well as a gold plated quarter jack converter so there are plenty of input options for the Master 4. Using the foam tips and memory hook multi-braid cable option I got a pretty secure fit with a high degree of comfort with the Master 4. The memory hook material is quite stiff but does an excellent job of keeping the Master 4 in place despite rapid head movement. You just need to mold it around your ear once inserted to get the best shape possible and it will stay in form until the next time you tweak it. The non-hook multi-braided cable is super light and pliant to work with and has zero memory retention. The fabric cable is the lightest of the three, has a tiny bit more memory retention initially but loses it over the course of about 1 minute. Otherwise it is fairly easy to work with and of course the go to choice for phone integration. The seal is also good but not as good as say the IT03 from iBasso with its contoured body lines pulling in the nozzle just a bit more than the Master 4. Passive noise isolation was the best with the foam tips by the way with the silicone tips leaking a bit more in both directions. That is a pretty long list, almost like an inventory of IEM needs but I doubt you will take everything with you on any given Sunday. The zipped semi-stiffened hard case is adequate but my preference would be to grab an OtterBox at some point and just throw it all in there. The tip selection is excellent with SpinFits, dual flanges, and foams and for the majority of this review, it was either SpinFit or foam depending on the filter. The foam does give me the best isolation and seal out of the variations offered. The filters themselves are slotted into two long aluminum tubes with screw thread caps for carrying around but for some reason, the silver filters came in a plastic bag rather than a third tube. It would have been nice to complete the ensemble with that third tube. Nice review Marcus! Will you be reviewing the Phantom Master 6? I’m curious of its improvements over the Phantom Master 4. I’ll look forward to that review! Cheers. Thanks Benton. I hope so, its holiday season in the UK so I have to touch base with them end of month and see if possible.